MAGMA™ is the perfect muscle recovery drink to help push through hard training sessions, boost muscle recovery and optimizing muscle protein synthesis. 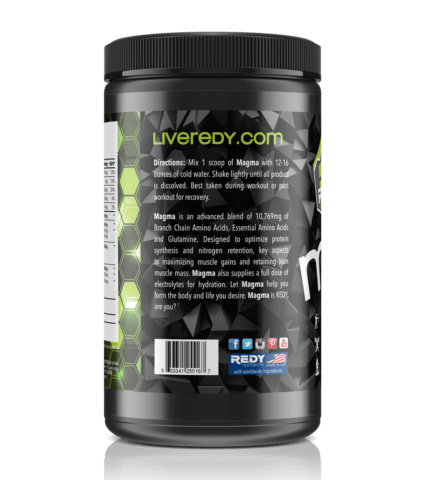 Providing the right ratio of branch chain amino acids and the complete range of essential amino acids your body requires to grow and repair. Consuming these essential amino acids supports longer and harder workouts with a muscle recovery fuel that targets muscle building. Optimizing healthy protein synthesis helps fight fatigue, and also assist in maintaining muscle while in a calorie deficient phase of fat loss. This is a key factor for both men and women who are serious about fitness. 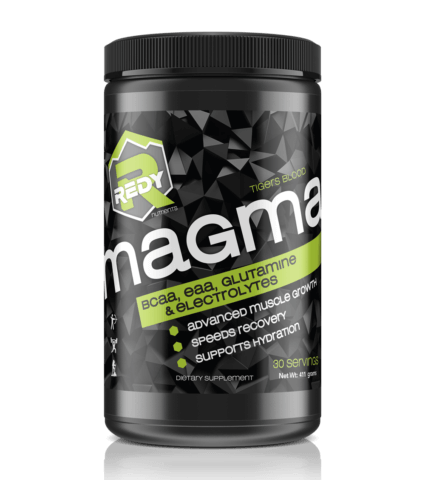 MAGMA™ mixes easily and comes in two great refreshing flavors. BCAA 2:1:1 Ratio Consisting of Leucine, Isoleucine and Valine as well as all 9 EAA'S. 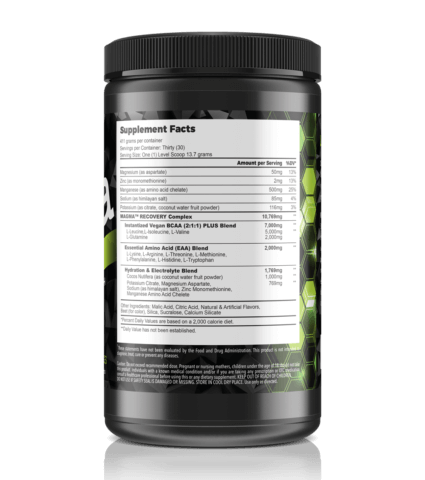 Leucine: Promotes lean muscle tissue and increases time to muscle fatigue. Increased protein metabolism also allows the muscles to remain in an anabolic state for a longer period. Isoleucine: Is the amino acid that promotes glucose uptake, Glucose increases muscular energy allowing for longer and more strenuous workouts. Glutamine amps up your recovery rate by benefiting the body's synthesis of protein. 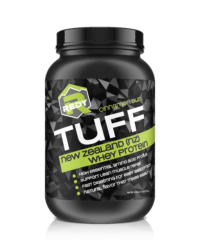 Thus reducing soreness and increasing lean muscle growth. 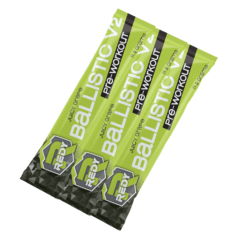 Designed to replace electrolytes lost during extended periods of exercise. MAGMA is my go to! Magma is my go to for intra workout and post workout drink! I love the Tiger’s blood flavor! It tastes just like a snow cone and makes me think of the summer year round! I loved the old formula, and love the new EAA formula even more. Seriously, if you are not using this stuff, you are missing out! On my off days, I mix it in a gallon of water and sip on it throughout the day, same while I’m out on the mountain, pounding the hills in search of organic protein sources. When your get up and go, got up and went. I’m not going to sugar coat anything here. 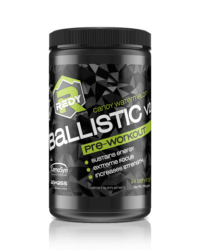 But this is by far on of the best recovery formulas out there! Don’t take my word for it. Pick yourself up some and a sceptic will become a believer. 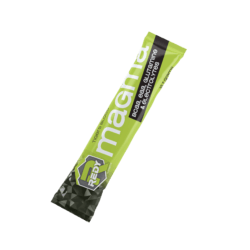 Magma is an awesome postworkout product! It definitely helps the muscles recover quicker so I can go right back at it the next day! I love this product! Tastes great and mixes very well! My performance in Crossfit has increased since taking this. We love you Katie! Keep up the great work!